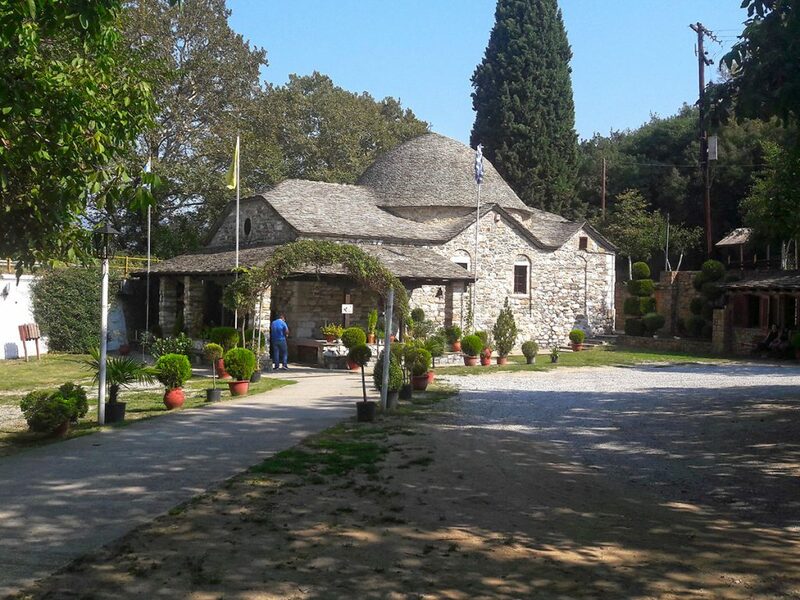 The post-Byzantine church of Ayia Marina is located in the 75th km of the old highway Thessaloniki – Kavala, just a few kilometers away from Stavros, in the valley of the Macedonian Tempi. Once the traveler faces the Byzantine dome that is covered with slate, he feels the need to stop for pilgrimage. Beyond the incomparable beauty of the church, it is also famous for its miraculous abilities, as people from every part of Greece claim that since they prayed here, their problem was solved. The little church with the special and peculiar architecture is the pride of the Modi villagers and was built by them in the mid 18th century as is also reported by the inscriptions.